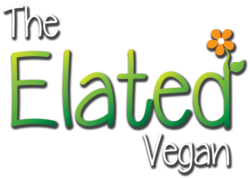 Elated’s Vegan Shop is just one more way we are making it easier for you to be vegan! 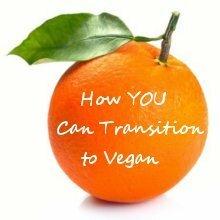 The shop is a resource designed to help you source more vegan products from all around the world. By participating in these affiliate marketing programmes, Elated earns commission when you buy from these merchants after clicking on one of Elated’s links. Here is some essential information about the merchants who will be processing your order. Blendtec is the leading manufacturer of premium blenders and kitchen appliances. Blendtec blenders are recognized the world over for their performance, power, and superior functionality for making green smoothies and all manner of health food. They offer excellent customer service and a 7 year warranty on most of their products. Dr Fuhrman offers the tools to achieve and maintain a unique, healthy dietary lifestyle that facilitates weight loss, reversal and prevention of disease and longevity through nutritional and natural methods. Its founder, Joel Fuhrman MD is a board certified family physician, best-selling author and nutritional researcher. His unique scientific understanding of nutrition enables his clients to make dramatic health turnarounds from diabetes, obesity, high blood pressure, coronary artery disease and other nutritionally related disorders. Welcome to EntirelyPets.com Affiliate Program, where you can turn visits to your site into revenue. EntirelyPets has been providing a wide variety of Pet supplies, pet medications, pet supplements and much more. EntirelyPets provides affordable solutions to give pets healthiest and happiest life possible while saving pet parent’s money. When you put links to our products on your website, and when a prospect clicks on those links, EntirelyPets rewards you with a commission. GamersGate is the world’s largest online store for PC and Mac games, (4500+ games). It is online digital digital distribution platform creating easily accessible gaming experiences for gamers worldwide – anytime, anywhere. Viewed as a strong contender in the digital download arena, GamersGate continues to redefine the download industry. HerbsPro is one of the largest online health food stores offering herbal supplements, vitamins, beauty care products, pet care products and organic groceries at very low prices. Herbspro has more than 25,000 top selling products from America’s most popular and trusted Brands. This affiliate store is made possible by the fantastic WordPress plugins created by Datafeedr.